Pour toutes réservations effectuées au plus tard 2 jours avant la date d’arrivée, profitez de notre copieux petit déjeuner inclus. Offre valable en chambre double, triple ou quadruple. Pour un minimum de 4 nuitées réservées au plus tard 30 jours avant la date d’arrivée, bénéficiez d’une remise de 10% sur notre meilleur Tarif disponible (séjour non annulable, non modifiable). Découvrez nos offres petit déjeuner inclus en chambre Triple et Quadruple. *Accomodation in a Double Classical, Superior, Deluxe, Prestige or Suite room. 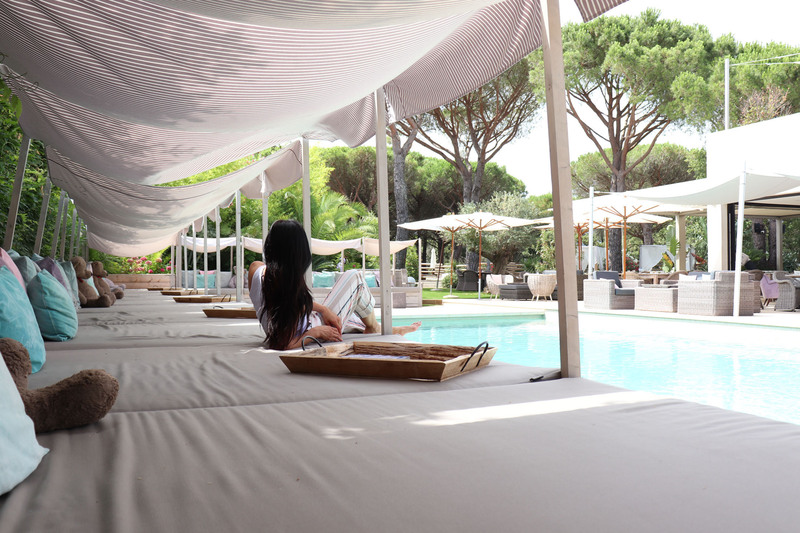 Font Mourier Hotel enjoys a particularly choice location, overlooking the Gulf of Saint Tropez. You can stay in the heart of the main resort attractions while still enjoying the peacefulness of the pine forest and the relaxing poolside atmosphere. Just 5 km from all the festivities of Saint Tropez, 7 km from the famous beaches at Ramatuelle and Pampelonne, 3 km from the lagoon city of Port-Grimaud, 4 km from Gassin, 11 km from Sainte-Maxime and 3 km from Cogolin. Regardless of your idea of the ideal vacation, you will always be sure to find peacefulness, sunshine and glamour at this location! The serenity of the place, enhanced by the peaceful sound of crickets, will make you feel at home at all times. 4* hotel Font Mourier is your ticket to the sunkissed setting of Provence, complete with the wide variety of activities it has to offer. It’s your choice of sunbathing by the pool or sporty pursuits, including tennis, polo, hiking, golf and water sports. Temptations. Shopping for pleasure. Or just exploring renowned sightseeing spots nearby. You can follow in the footsteps of Francis Scott Fitzgerald, Alain Delon and Brigitte Bardot, to name a few, and enjoy all the glamour and glow synonymous with the French Riviera.